that is neither lowland heath nor sand dune. Must say I had never heard of this Coniston Natterjack site - only the one on the coast at Millom (spelt right?) called The Lots. How interesting to hear of this site. Where I lived we only had common frog and toads.I have written elsewhere about the reptiles in the area but perhaps I might mention it again. I lived on the west side of Lake Windermere (1961-1970) and there were lots of grass snakes in the whole area - right across to Coniston where the habitat was suitable - a lot of big ones too. We had slow worms, common lizards and adders too. The area is still relatively undisturbed and I'm sure not a lot has changed. the dunes towards the fells. Check out my blog for more info. Altitude is approx 150 m.
I'm coming rather late to this discussion. 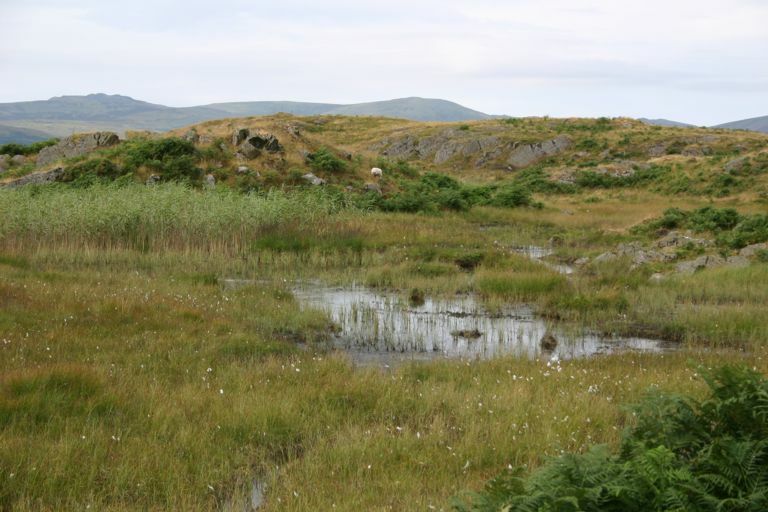 Yes the upland site you refer to is a fascinating one, and whilst it has nothing in common with dune and slatmarsh sites it does have some features in common with the southern heaths, particularly the water bodies which are strongly reminiscent of the sort of bog pools you get at sites like Thursley Common in Surrey (a former natter' site). I have thought for ages that a little more study of this site might help illuminate how natterjacks might have survived on these heathland sites in the past. The site has all three newts as well as common frog and toad. Just an update on the site that I'm currently monitoring on the Cumbrian coast - so far we have had several strings develop and emerge. Since this is my first year of monitoring I'm very happy with the state of events.